Spring is finally here to stay (hope I didn’t jinx us), and that means we’ve got a full season of Central Park racing on tap. We had a phenomenal start to our season with one of the most successful editions of Grant’s Tomb Crit in recent memory, and the behind the scenes crew is already working hard gearing up for the CRCA Zach Koop Memorial Orchard Beach Crit and the CRCA Jamison Bear Mountain Classic. 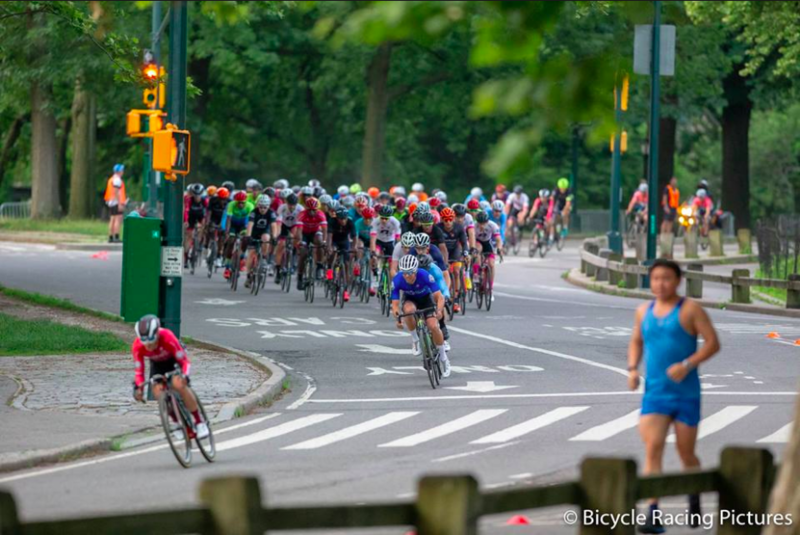 But, the bread and butter of CRCA, is still our iconic Central Park-based Lucarelli & Castaldi Club Race Series. Frankly, without our ability to race in Central Park, I’m not sure CRCA would continue to exist. This is why I wanted to devote this post to explaining how important racer conduct is to the very survival of our Club. For the past couple of years, the Club has worked very hard on improving our relationship with NYC Parks (who issues our permits) and CPC, both of whom partner with the Club to make our CP events possible. Kevin and I have been in communications with NYC Parks and CPC since January and continue to dialogue with them on an almost daily basis in the days leading up to and following every Club Race. Parks employees are present at every race, observing our compliance with the rules. They note missing/late marshals and they note rider numbers when they observe violations. In turn, we must report every incident, including every crash and every Rec Lane violation to Parks. Every rules violation by a CRCA racer observed by or reported to our partners chips away at the goodwill we have painstakingly built up. If we do not show our partners that we can race safely, without abusing or putting other park users in danger, then we risk losing our permit to race in Central Park. In the first couple of races, we have seen some very disappointing behavior, especially from members of the A field. There have been multiple reports of riders flagrantly advancing in the Rec Lane, riding backwards on the Park loop, and yelling profanities at other park users. Every member of CRCA signs on to the Code of Conduct, and promises to abide by Rules of Central Park, CRCA and USAC. But it’s especially disappointing to hear of non-compliance from the A field, which should, in theory, comprise some of our most experienced racers. In short, you should know better. If there are additional incidents that occur at our next race on April 6th, we will be cancelling the A field at the following race. If you’re unfamiliar with rules of racing in Central Park, please carefully read our Club Series Tech Guide. The most important of which are the following; and they are pretty simple. Do not enter the Rec Lane under any circumstances. Those white lines you see separating the Rec Lane from the racing lane? Treat it like a curb; LIKE A PHYSICAL WALL. Do not cross. Do not even ride ON the line — not even momentarily. Do not yell profanities at other Park users. We realize there are moments in bike racing that require being vocal, and sometimes racers must alert other Park users for everyone’s safety. That said, if you cannot control your profanity laden emotions, please stay home. Do not ride backwards in the Park Loop. Don’t be lazy; just take a legal exit out of the Park and loop back around via 5th Ave. Here’s a map of the Park with rideable sections highlighted in case you need to determine your closest exit route. Any violation of these rules will result in disqualification, and depending on severity level or repeat offense, the Board may impose additional penalties, including suspension or expulsion from the Club. Per the Boyd Cup & Team Competition Rules, the disqualification of a member of a subteam will result in the entire team being ineligible to score points in any competition. These sanctions are not open to negotiation. They are meant to be harsh as much as they are easy to avoid. We take no joy in DQ’ing people, especially teammates who’ve done nothing wrong. But, keep in mind, all of the incidents that are acted upon are objectively flagrant violations, the worst of which is advancing position inside the Rec Lane. Not only is this cheating and really dangerous, it is selfishly putting every member’s ability to race in Central Park at risk. So! Now that I’ve laid out what’s at stake and what the terrible consequences will be, if conduct doesn’t improve, I hope you will think about who you might want to share this information with. Perhaps you can help by reminding someone of the rules, giving a nudge to keep calm, and saying “hey!” if you see something happening or about to happen. Any reports of violations to the Board will be treated confidentially and handled anonymously. Changing negative behavior often begins with acknowledgement that it exists, and often, it takes an outside force to recognize it. We encourage you to help each other out, and also to hold each other accountable, for the benefit of all of us. I’m probably already sounding like a broken record, but remember that we each have a role to play in the longevity of our Club. Let’s make our contribution a positive one. Thanks for reading and I look forward to seeing you out there racing bikes!